Turnbuckle Radio hosts Trevor Robb and Brian Swane breakdown the card for Sunday’s WWE Royal Rumble PPV at the Alamodome in San Antonio, TX. It’s a loaded card, main-evented by the 30-man over-the-top Royal Rumble match to determine the main event at this year’s Wrestlemania. 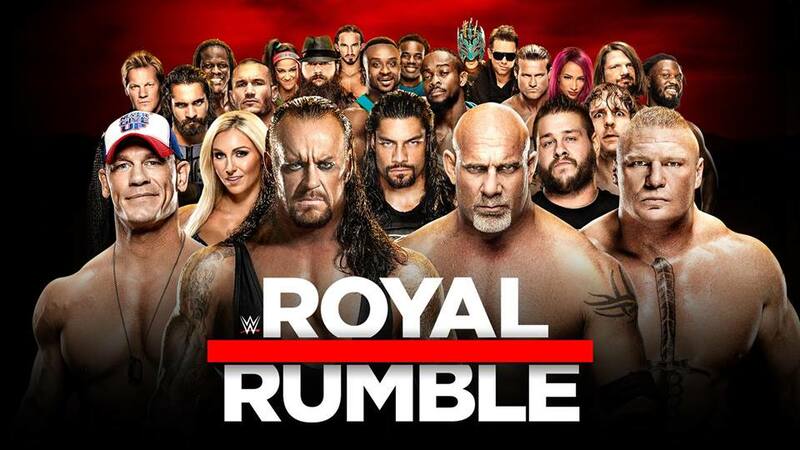 With the likes of the Undertaker, Goldberg, and Brock Lesnar in the fold, this could possibly go down as one of the biggest Royal Rumble matches in history. Listen in as we go over the entire card match-by-match. Check it out! Tags: 780 Sports, AJ Styles, Big E Langston, Bray Wyatt, Brock Lesnar, Chris Jericho, Daniel Bryan, Dean Ambrose, Dolph Ziggler, Edmonton, John Cena, Kevin Owens, Professional wrestling, randy orton, Seth Rollins, Turnbuckle Radio, Wrestlemania, WWE Raw, WWE SmackDown. Bookmark the permalink.